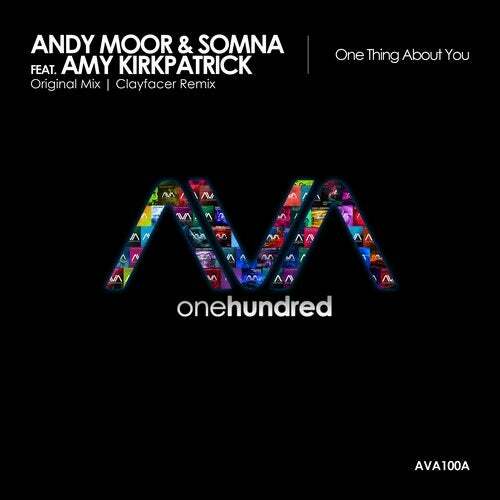 Part 1 of AVA's 100th release sees the combined efforts of Andy Moor joining forces with Somna for a track entitled One Thing About You featuring the lovely Amy Kirkpatrick. A beautiful lovesong written from the heart, Amy's vocals hit home amongst a medley of pianos, guitars and melodic elements before the team turns up the levels with driving synths and sweeping euphoric synths. On the flipside, Clayfacer flips the track into a unique chilled take. Changing time signatures and a re-written chord structure provide a whole new listening experience. Cleverly arranged and produced from this Canadian producer, perfectly suited for the coming summer days.